Lorna has decided to play golf this year which has left my job of making sure she has a high protein afternoon snack a little more complicated than usual. With golf she's gone 4-5 days out of the week for an additional 3-4 hours, so I needed something to keep her fueled until dinner, but was also easy. When I saw this recipe for RITZ Cracker Egg Salad-Tomato Bites I knew it would be perfect. She loves Egg Salad but it's hard to pack a sandwich without the bread ending up smashed. RITZ Crackers make the perfect vessel for loading with Egg Salad. When she's on the go I just pack the Egg Salad and Sliced Tomatoes with Chives separately so she can assemble the little bites when she's ready. 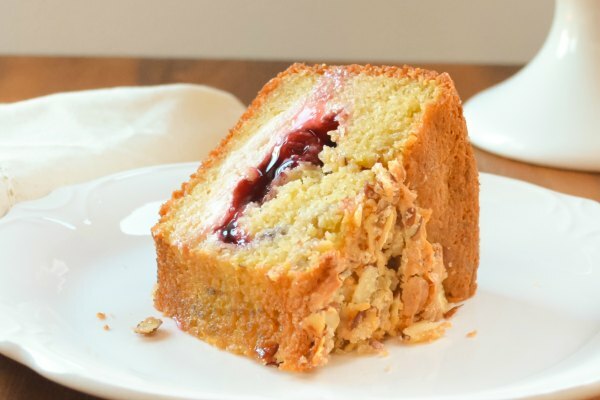 The boys also absolutely adore this recipe, and it's even perfect for entertaining company. 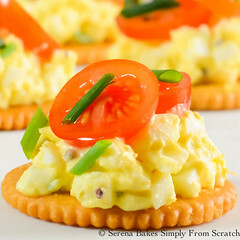 RITZ Crackers Egg Salad-Tomato Bites are so easy to make, and are perfect little bites for anytime. 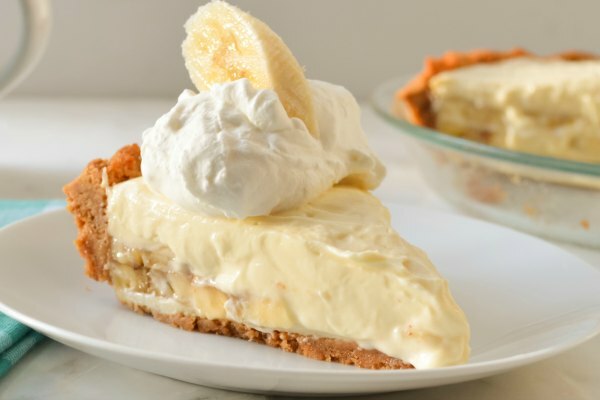 Make sure to check out FamilyRITZpiration.com for fun, family friendly recipes for snacks, and entertaining! After I spotted the recipe for RITZ Crackers Egg Salad-Tomato Bites we went to our local Fred Meyer to pick up some of the supplies we were missing. We love to shop at Fred Meyer since it's an easy one stop shop. Fred Meyer is part of the Kroger family along with our local QFC (Quality Food Center). Both stores are always clean, and well stocked. Making it a family favorite stop so we can get in, and get out. Saving us not only time, but money with our busy family. 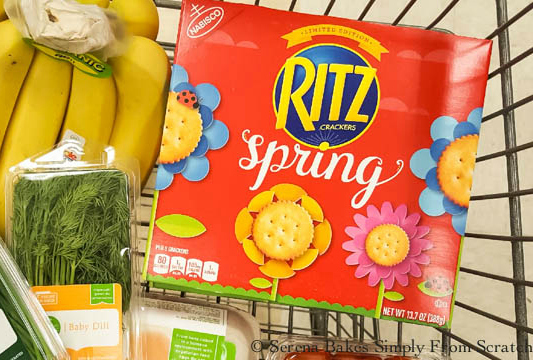 RITZ Crackers are a staple in our house not only for entertaining, but day-to-day snacking. I was lucky we picked up a few boxes the other day at Fred Meyer, since the kids had already snacked on them plain before I made this recipe. For the RITZ Crackers Egg Salad-Tomato Bites I just made a simple egg salad. 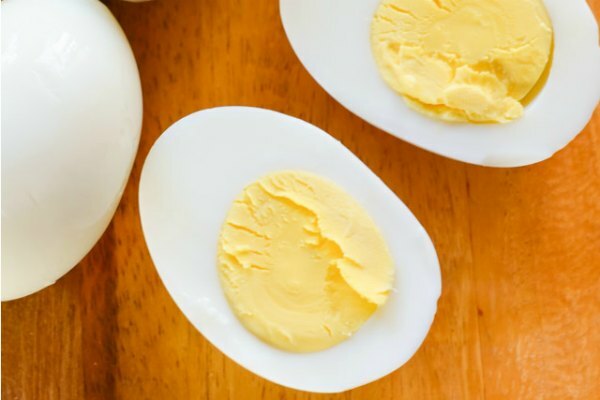 In a medium sized bowl combine 6 whole eggs diced finely, 3 tablespoons mayonnaise, 1/2 teaspoon mustard (I like grainy mustard, but use your favorite), 1 tablespoon chopped chives, salt and pepper to taste. Mix until well combined and creamy. 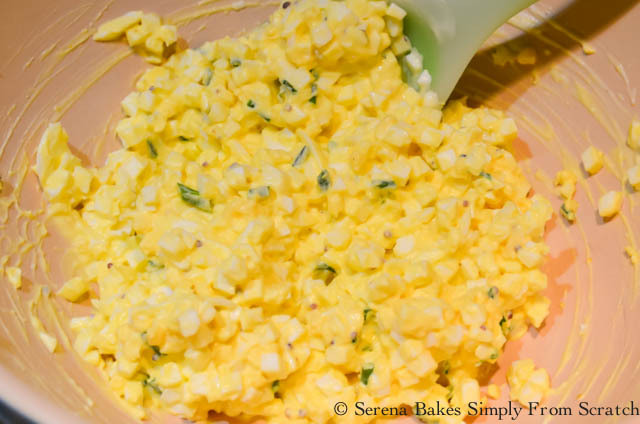 Egg salad can be refrigerated until ready to use for up to 2 days. 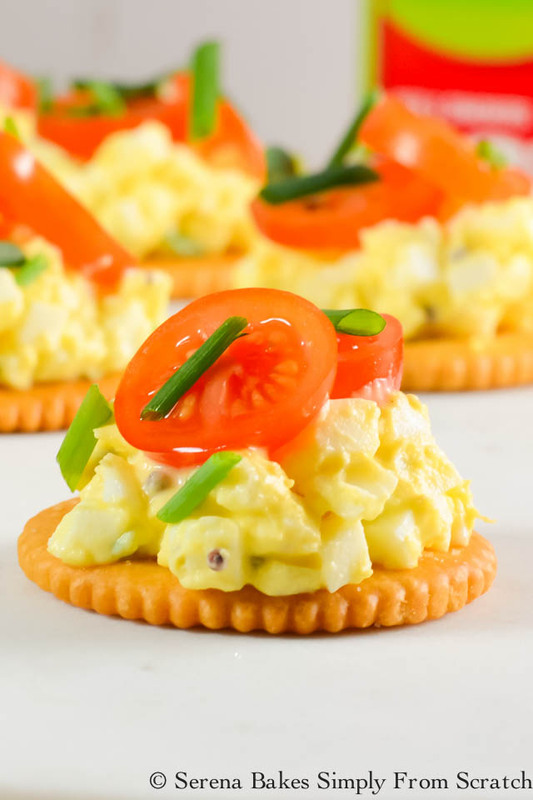 To assemble place the egg salad on top of RITZ Crackers, top with sliced grape tomatoes, and chopped fresh chives. 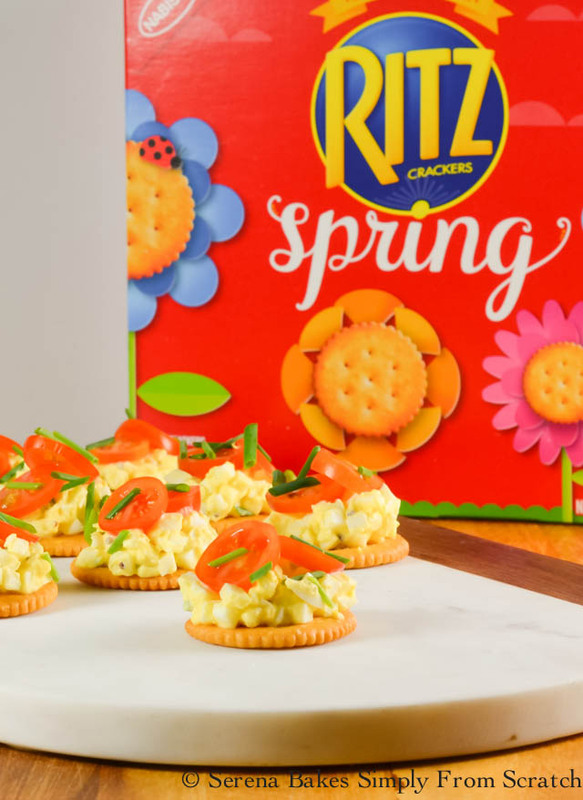 Alternatively you can place 3 grape tomato slices on top of Egg Salad to resemble a daisy, use chives for stems, and spinach for the leaves, to make RITZ Crackers Egg Salad Flowers. 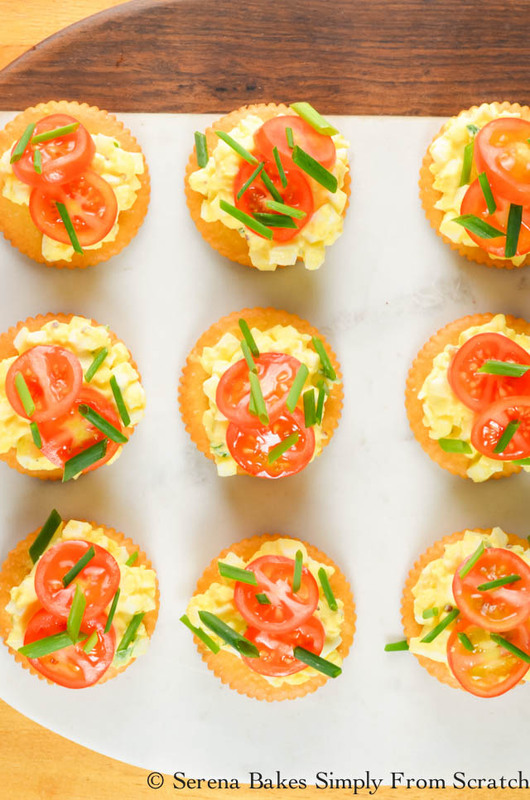 RITZ Crackers Egg Salad-Tomato Bites are cute enough for company, but easy enough for a snack or light lunch, making these a favorite in our house for any occasion. Not only does our family love RITZ Crackers topped with Egg Salad, but they are also delicious topped with meat and cheese, tuna salad, peanut butter, and even chocolate hazelnut spread, for an easy dessert! What's your favorite RITZ recipe? For more fun RITZ Cracker ideas check out FamilyRITZpiration.com. Chop eggs finely. Mix all ingredients together until well combined. Top RITZ Crackers with Egg Salad mixture. Cover with sliced grape tomatoes, and chives. These are ADORABLE! I would definitely make an entire lunch out of them, I don't think I'd be able to stop once I started snacking on these! 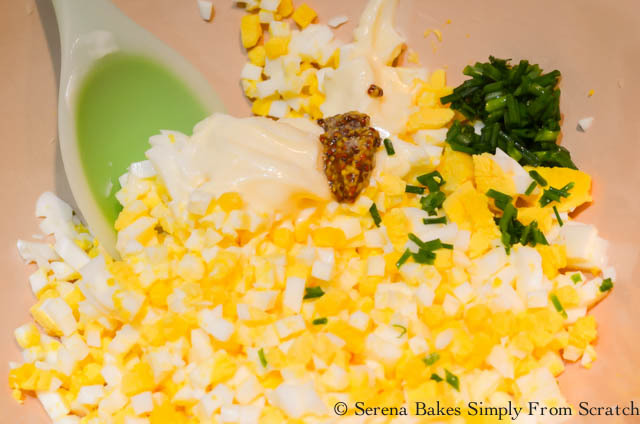 my family loves egg salad, but this is too pretty to serve to them. Company it is, great idea. such a tasty snack idea!